Most Americans have never heard of Peppa Pig, the cartoon star of a British television show for preschoolers, which Chinese censors started purging from Internet apps and Chinese social media over the past week. Americans may not be bothered that an animated pig was deemed subversive by China’s state media and a bad influence on China’s youth. But we should be. China’s internal Internet censorship regime is part of its greater effort to control the behavior of its citizens. Combined with blanket surveillance, intrusive monitoring and a new Orwellian social credit score system, the Chinese Communist Party links loyalty to success in all aspects of Chinese life. But aside from altruistic belief in universal human rights, why should Americans care? English or GP tutors keen to be listed on this website (consistently ranked top 10-15 on Google) as a Recommended Tutor, please email stevenooi18 @ yahoo.com (remove the spaces). Tutors in other subjects interested in having links to their website are also welcome to contact him. 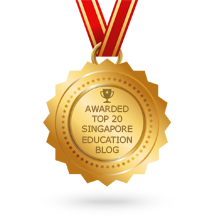 This entry was posted in Recommended Articles and tagged best gp tutor in singapore, english tutor singapore, gp tuition singapore, gp tutor singapore, top english tutor singapore. Bookmark the permalink.